The official start to ski season is just two weeks away. Snow is in the air and the season is ripe with promise. This is the perfect time to dream big and lay the groundwork for making this the BEST SEASON EVER. Need a little inspiration? Check out our staff’s winter bucket then start getting yours in motion. Not only do you get first chair bragging rights (especially on a powder day) but you’ll be able to enjoy the experience of your skis cutting through prefect corduroy or demolishing untracked powder. Plus with 3 mountains and 3,148 skiable acres you need to start bright and early to get a jump on exploring all that terrain. We’ll get the lifts turning. Scheduling the wake up call it up to you! You won’t technically ride for free but if you go enough it will feel like it. Confused? Here’s the math: [Season Pass Price] / Day Ticket Price = How Many Days It’ll Take For You To FEEL Like You Are Skiing for FREE. 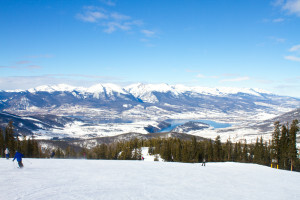 That means if you buy the Keystone Abasin Pass for $339 you’ll have paid for it in less than 3 days of skiing. Maybe this isn’t really how math works, but it’s how being a pass holder feels. Whether you are a seasoned park rat or have never touched the stuff, throwing down a new or first trick is cause for major celebration Take advantage of A51’s 3 lines of progression and start grabbing fun boxes, rail and jumps or check out what we’ve done with a shipping container. 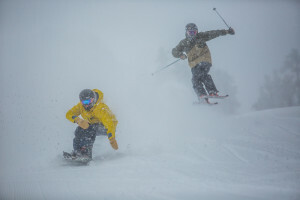 A51 is just another way to push the fun at Keystone. 5. Experience A Powder Day To Yourself – That’s Right, Time To Go Cat Skiing! 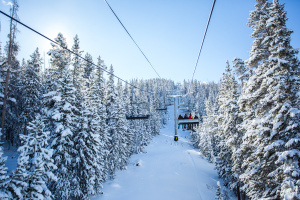 Spend a day enjoying the largest Cat Skiing operation in North America, as you glide through powder on Independence, Erickson and Bergman Bowls. 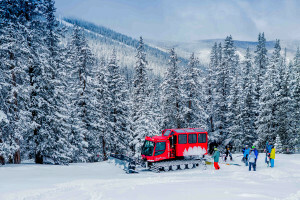 This unforgettable experience includes a day of guided cat skiing, gourmet lunch to refuel you up and powder ski rentals (if needed). Grab your crew and plan for a day of untouched powder that’s just for you. 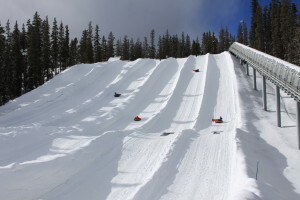 There’s all kinds of other reasons why Keystone’s Tubing Hill at Adventure Point is the coolest thing in the world – like the staff who will spin you until you’re dizzy down the mountain or the disco tubing nights but mostly it’s the joy of hearing your loved ones scream and laugh in terror all at once that make this an experience you can’t miss. 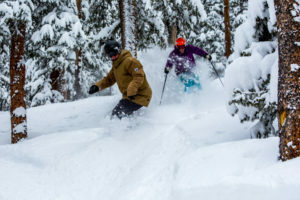 Keystone is home to the longest ski day in Colorado thanks to its night skiing program. This means, that on days night skiing is available you can ridge from 8:30am until 8:00pm. 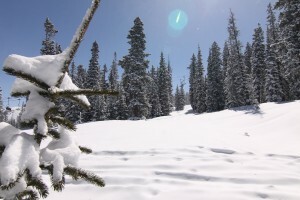 With 3,148 skiable acres you’ll have plenty of runs to explore. Are your legs up for the challenge? 8. You Know That Thing You Don’t Do Well? Fix THAT. 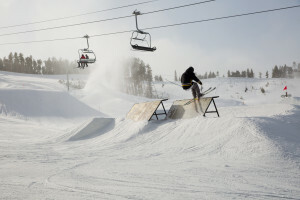 Whether its bumps, glades or proper pole plants there’s always room to improve. Make THIS the season you get better than ever. Of course a few more days on the good stuff helps but if you really want to progress your skills it’s time you take a lesson. 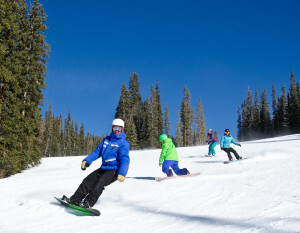 From women specific lessons, to park lessons or one-on-one private lessons our talented Ski and Ride School has the tools to get you cruising around the mountain like never before. 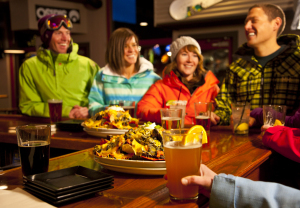 Keystone might not have the most happening night life but it sure has an après scene. The hard part? Choosing from sipping slope side beverages, enjoying drinks by a roaring fire or grabbing daily Yappy Hour with your furry friend. Use our après guide to toast your way to fun after the lifts close. A favorite run, a favorite lift, favorite breakfast spot to après hangout. This is year to make Keystone feel like your home turf. The best way to do that is to see it, try it all and ski / ride it all. Once you discover what you love don’t be afraid to share. Use #keystonemoments to memorialize and share out your favorite adventures.